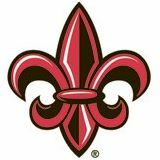 This Catalog is designed to provide both an overview of general information about the University of Louisiana at Lafayette and a detailed explanation of the University's degree programs, curricular requirements, and rules and regulations related to academic affairs. Additional information about student life-organizations, social and personal support services, and policies-is delineated in the Student Handbook, published by the Office of Student Affairs. Copies of that publication are available from that office (337-482-6266). The effective date of this Catalog is the first day of the Summer Session 2013. Published by the University of Louisiana at Lafayette, issued at Lafayette, Louisiana, in the spring of odd-numbered years. For additional assistance using the Online Catalog, view the Online Catalog User Guide (pdf).